Those of you who have read our HTC U11 review already know what makes this smartphone worth owning. 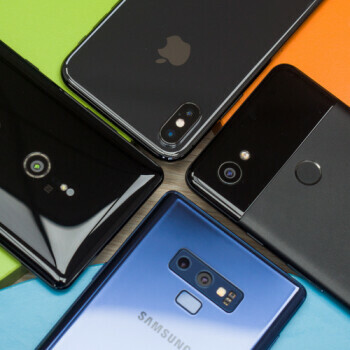 It is fast, it is loud, it is shiny, and right on top of this stack of goodies is one of the best cameras you can get on a smartphone today. 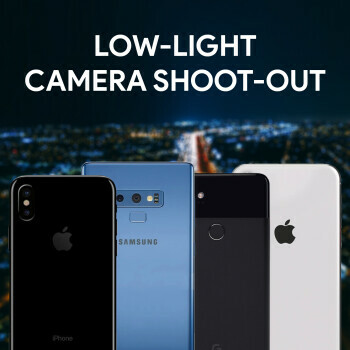 And we only used "one of" there because we've yet to compare its 12MP shooter against those on other high-ends. Actually, that's what we're about to do right now. We took a Galaxy S8+, an iPhone 7 Plus, and and LG G6 out for a camera shootout against the HTC U11, and we're now going to comment on the results. 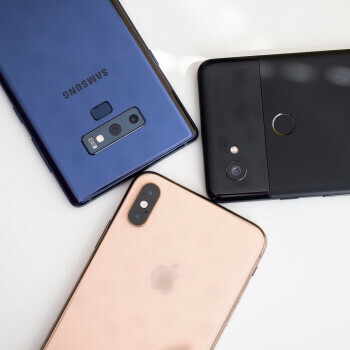 At a glance, all four phones appear to be in the same technical ballpark. All of them pack 12MP image sensors, so they should all produce equally clear and detailed photos, right? Well, not necessarily. Аs the rest of the numbers indicate, the HTC U11 and the Galaxy S8+ have larger sensors, larger pixels, and wider apertures, meaning that they absorb more light and with greater fidelity. This should translate to clearer images with less noise, especially in low-light situations. Now let's see if that's the case. Let's start with a set of images that I took in the late afternoon, about an hour or so before sundown. 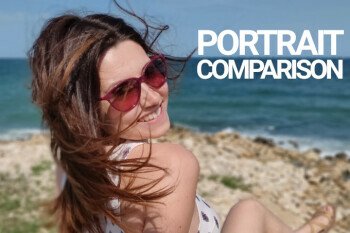 What's interesting about the photos is that they show how the image you end up with depends not only on the camera hardware, but also on its software – image processing algorithms don't always go for the most faithful appearance if they decide that a few tweaks could make a certain scene pop. For example, notice how the Galaxy S8+'s photo is more colorful than the rest. Too colorful, perhaps. The HTC U11 and the iPhone 7 Plus deliver a much more natural representation of the scene. While the iPhone has captured the highlights in the trees a bit better, the U11 shines with the amount of detail it has preserved. Meanwhile, the LG G6 has produced a slightly colder photo, neutralizing the natural warmth of the setting sun, so we have to knock down a few points for that. As it did in the previous scene, the HTC U11 sticks to a natural image representation. In fact, its photo is the most pleasing to look at with its neutral tone. The other phones didn't do so well. For example, the G6's photo could use a bit more warmth, while the shot out of the iPhone has an excessive amount of contrast. But our least favorite image of all is the one shot with the Galaxy S8+ – unnecessarily saturated beyond all boundaries. We're starting to notice a pattern here. Once more, the HTC U11 delivers a detailed, faithful image – the blueness of the fountain blending with the warmth of the setting sun have been captured very accurately. Meanwhile, the iPhone is a little heavy on the contrast, and even though its image looks fine, details in the shadows appear to be missing. The LG G6, again, went for a slightly colder look than it should have. As for the Galaxy S8+, its photo looks pretty good this time around. The only thing we would have changed about it if we could is the amount of sharpening – there's a bit too much of it in the shot. 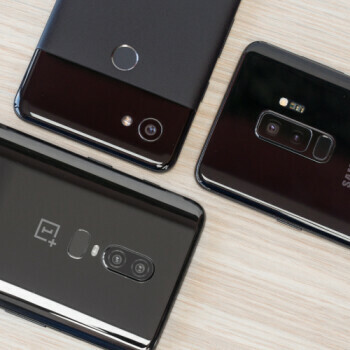 8 June OnePlus 6 vs Galaxy S9+ vs Pixel 2 XL: low-light camera comparison So far, we've tested the OnePlus 6's camera in terms of normal, daylight images, and portrait photos Now is the time to take a close look at its camera's low-light capabilities against the Galaxy S9+ and Pixel 2 XL. HTC 11, should get even higher. Are you guys not looking at your own crops? I swear! Not only the ratings are not accurate according to the Pictures. Im sure they just make these "Articles" to piss people off! Click Bait! Yeah, these kind of articles are completely subjective, and are good as useless with only 1 person's perspective. Was wondering why they simply can't make a blind camera comparison like GSMArena, but as you say, probably just clickbait. Blind camera comparisons allow everyone give their unbiased opinion of which photo they think is best, regardless of what the scene is. If you think one photo is more "natural"/"accurate" than others, you simply select that one and move along. Doesn't really matter what the "real" scene looked like in the dark or on a very sunny day if the photo of the scene is sh*tty to most. Very good point. We don't know what the scene looked like to the naked eye. Plus not to mention not everyone is gonna be using the same computer/tablet to view this site and the pics. They could look markedly different between a non high res screen vs a HD screen. So as you said, its all subjective. The author is the one to best decide which pics look best as they are the one that know what the scene looked like in person and can compare it to the pics. Ppl get way too bent out of shape over these comparisons to the point its ridiculous. Pick the phone that best suits you and don't worry about what other ppl decide. Glad to see a level headed commentor thank you. It still boggles my mind how you don't do any tests on moving objects. That's a main criteria that many reviewers fails to test. Those who have kids or pets would love such tests. The XZ Premium would have the cake here for moving objects, if it was in the mix. My bet is on the U 11 and S8, they have the fastest focus speed out of the bunch. You might be correct on this matter, it has been a while since I owned a Sony smartphone, the last one I bought was the Xperia S. I can speak about my experience with the S7, Note 7, and S8 cameras, and I never missed a shot of my babies, it focus almost immediately that I never ended with a blurry picture when they're running or moving. S8 and s7 do not use same sensor. Specs are the same. Clearly the S8 takes a better picture over the iPhone 7 most of the time, but not all of the time. But in 2 of the photos where they scored the iPhone over the S8, is pure B.S.! Like with the very firat. The U11 an iPhone were maybe more color accurate, but the S8 made the picture look more alive. the U11 and iPhone makes the leaves look dull. The S8 actually catches the sun shining on the leaves making them lively. With the flowers I also still take the S8. No it wasn't pure B.S. your just butthurt that the S8 scored lower. Just because your opinion is different from the authors doesn't make you automatically right. Thats why its called an opinion. I for instance would rather have a more color accurate picture of a scene than one with overblown colors, as I want the pic to represent what I saw with my own eyes. Also the flower scene, the S8 was way too bright, your totally showing your bias for samsung and hate for Apple with that comment. It looked like crap and doesn't represent the scene at all. But again your entitled to your opinion, but it doesn't make it a universal opinion. True, and the G5 actually still outperforms the G6 in many scenarios. Care to elaborate the scenarios in which the G5's camera outperforms the G6? Just curious. G6 has 13MP, the board says 12..